Green World Ecological Farm is located at the back of Xiuluan Mountain at Beipu Township, Hsinchu County. 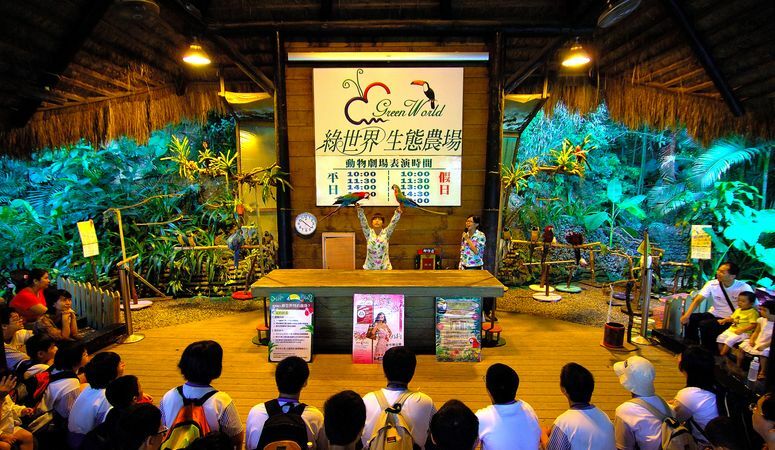 The 70-acre farm, a combination of zoo and botanic garden, comprises seven major theme parks, which are Swan Lake Area, Discovery Land Area, Water Plants Park, Bird Ecological Park, Butterfly Ecological Zone, Biodiversity Adventure Area, and Animal Star. There are 47 scenic sites, and all of them are very interesting and fun. For example, Swan Lake is a natural pond with many different birds, including swans and pelicans. Sometimes, you can also find migratory birds there as visitors.